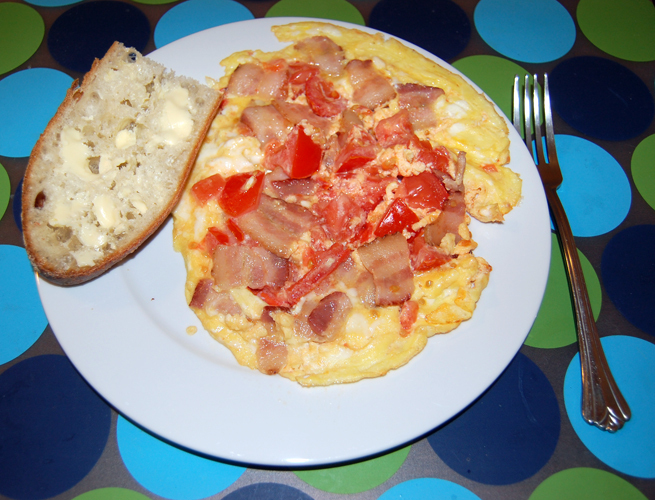 The lovely Amanda, of Poppies and Ice-cream, asked me to contribute to her breakfast club series, and so I happily sent along a recipe that includes some of my favorite foods: tomatoes, bacon, and eggs. :) Check it out here. Thanks for contributing :) I might have an omelette or scrambled egg for lunch today!